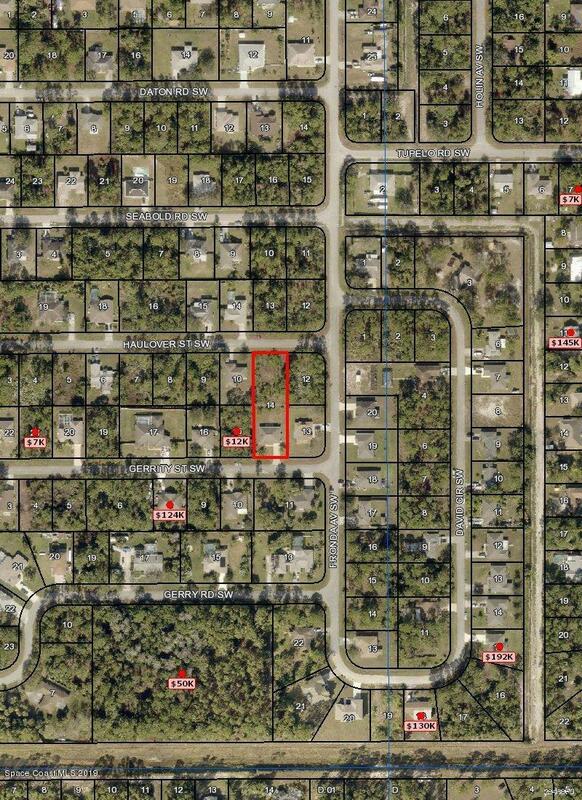 NICE WELL WATER/SEPTIC LOT IN AREA OF BEAUTIFUL HOMES. PAVED ROADS THROUGHOUT THE NEIGHBORHOOD. PREVIOUSLY CLEARED BY THE OWNER. EASY TO GET TO NOT FAR FROM THE MAIN ROAD. SHORT DRIVE TO SHOPPING, SCHOOLS, PARKS AND THE ST JOHNS HERITAGE PARKWAY. THE TAX ROLL HAS THIS LOT AS WELL AS THE HOUSE BEHIND. THIS LISTING IS FOR ONLY LOT 11. PER THE OWNER, BOTH HOME AND LOT WERE COMBINED ONLY ON THE TAX ROLLS AND NOT IN ANY PERMITS OR MORTGAGE. 1213 Gerrity St Sw is a 1,398 sq ft Single Family in Palm Bay. It was built in 2007. It sits on 0.23 acres of land.